Get ready for a call for art on the mystical side of things. 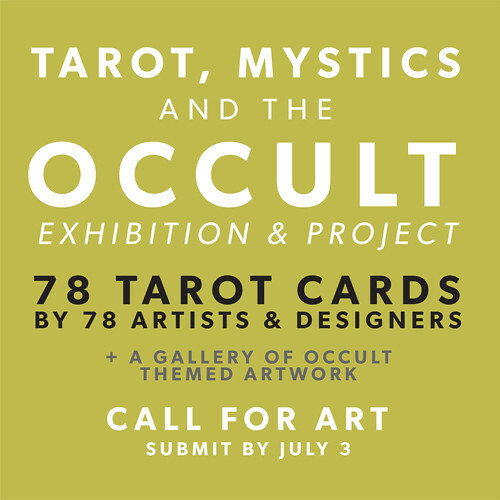 We are looking for artists interested in participating in a collaborative exhibition / project inspired by all 78 cards in the Rider Waite Tarot Deck. Anyone with dark art? Is your work mysterious? Already a little mystical? And are you willing to test your fate? Participating artists will receive one of 78 cards at random (assigned only by the powers of the universe) along with a description and meaning of the card. From there, the symbolism takes over. All 78 cards will be exhibited as 13 x 19 giclee prints and we will be printing a run of limited edition decks featuring all 78 cards. Of course, like all shows, we'll be showcasing the works online in a virtual gallery (with artist information) as well as in our brick-and-mortar gallery in Minneapolis, Minnesota. We have a killer event planned near the end of October where visitors will be able to have their cards read, and a select number of participants will be offered a slot to participate in the adjacent gallery for a small, and equally mystical set of occult inspired works. Interested in participating? Please put a link to your portfolio below by JULY 3. And to be perfectly clear about this call for art -- we will be needing final card art by August 3 in order to send the deck out for printing, so please keep that in mind when submitting to the call for art! Thanks and spread the word!! We'll be following up after the 3rd with specific details!